Start up of turn-key project- Jureskogs second restaurant! Home » Start up of turn-key project- Jureskogs second restaurant! Jureskogs Restaurants: It is with great pride that we just start up the turn-key project “Jureskogs” second restaurant at Sveavägen in Stockholm. This project comes after we successfully delivered their first ever restaurant on Jakobsbergsgatan again in Stockholm. 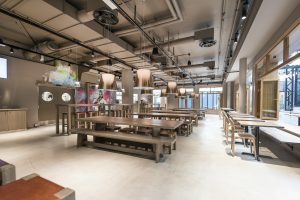 Both restaurants were turn- key projects that included the supply of all fixtures and comprehensive main contracting services. 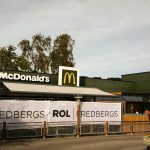 Jureskog also owns and operates the AG restaurant, which ROL FREDBERGS also provides a full maintenance on. The “Jureskogs” brand was launched in 2018 and their specialty is serving their customers with delicious hamburgers. These hamburgers are inspired from, among other things, the TV series “The World’s Best Burger” where their owner Johan Jureskog was a member of the Swedish Cooking national team for eight years and won with them the Cooking Olympics in 2004. Johan also participates in Swedish television and has his own cooking programs such as the TV series “The World’s Best Burger”, which was featured on Swedish television. We are looking forward to working with them on a rapid Nordic and general European area expansion.